A renovation of a kitchen, bathroom, or foyer can be a fun project, however very costly. Getting new tiles installed can be a serious cost. However, getting brand new tiles isn’t always necessary. Even if the tiles in the home are older and seem worn down, there are lots of options for breathing life back into the tiles that are much more cost efficient and can make the room look just as good. One of the biggest eyesores is a broken or chipped tile. If enough tiles are broken and chipped it might seem more worth it to completely replace them, however, it is possible to simply replace a few, or even repair the broken tiles. Giving the old tiles a little TLC to make sure that they are repaired can make them look as good as new and make the entire room come back to life. Getting tiles repaired it’s also much less invasive than completely re-doing the tiling in a room. Completely redoing the floor means that you don’t have access to that room for a long time and it takes a lot of time to get done, however repairing tiles can be done much quicker. All tiles can look slightly drab due to extended use. 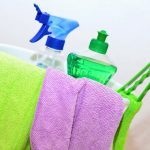 People walking all over the tile results in dirt, dust, and pet dander accumulating and therefore group can become discolored, and chipped. The grout looking nice can make tiling look fresh and new. There are many ways to make route look new again such as cleaning or regrouting. 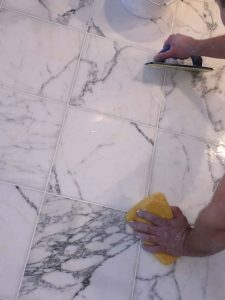 These services do not require the tiles to be removed or lifted, they simply target the grout in between the tiles to make it look like they were newly installed, however, it can be done quickly and easily without the burden of tearing up the floor. Even a simple grout cleaning can make tiles look their best again. 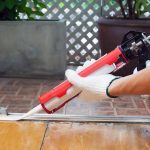 The experts at The Grout Specialist can quickly make your tiles look as good as new with grout cleaning, grout repair, and replacement. They can also handle any tile repair and replacement. Give them a call to make your tile look brand new again.